The Mustard Seed combines ideas, products and services, expertly crafted, into unique landscapes that enhance your lifestyle and property. Our goal is not simply to meet your expectations, but rather to exceed them! 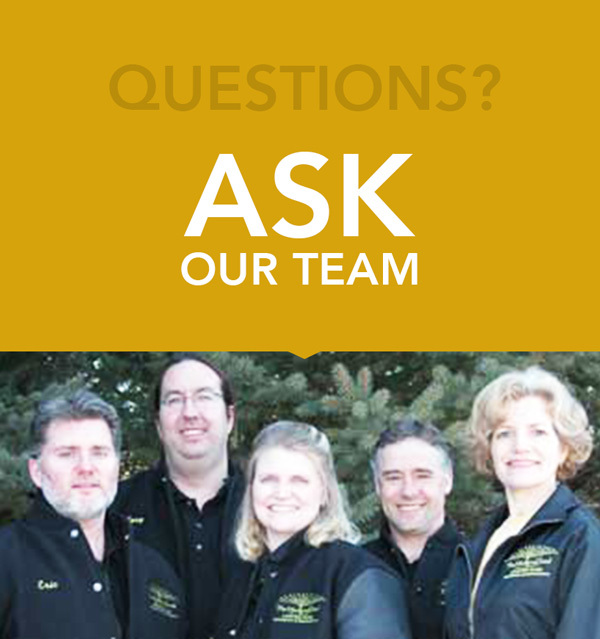 Our core team members are all Certified Nursery and Landscape Professionals by the MNLA (Minnesota Nursery and Landscape Association). We have over 150 years of combined experience, ensuring that your project is installed correctly, on time, and without surprises. The Mustard Seed, Inc. is licensed by the State of Minnesota as a Technology Systems Contractor; we employ Power Limited Technicians, Certified Illuminologists, Commercial Chemical Applicators, and a Licensed Landscape Architect. When you buy from us, you have our word that we will provide only the highest quality materials and services, focused on lasting value, installed by highly trained professionals, ensuring that you will get your moneys worth. Our team is recognized for our horticultural knowledge, leadership and service to the community. Our members have written state and nationally published articles, been featured speakers locally and at Iowa State and South Dakota State Universities, given seminars at trade shows and conventions, been featured on television gardening programs, installed Award Winning Landscapes, and developed a Mycorrhizae inoculum called Transplant Root Stimulator. If you need a patio or retaining wall, come to us for the best service and value! When we install paver patios, we follow ICPI (The Interlocking Concrete Pavement Institute) standards so that your investment retains its function and beauty for years to come. Our craftsmen attend "continuing education" classes each year, keeping us up to date on the latest products, techniques and equipment, ensuring that we are always on the cutting edge!